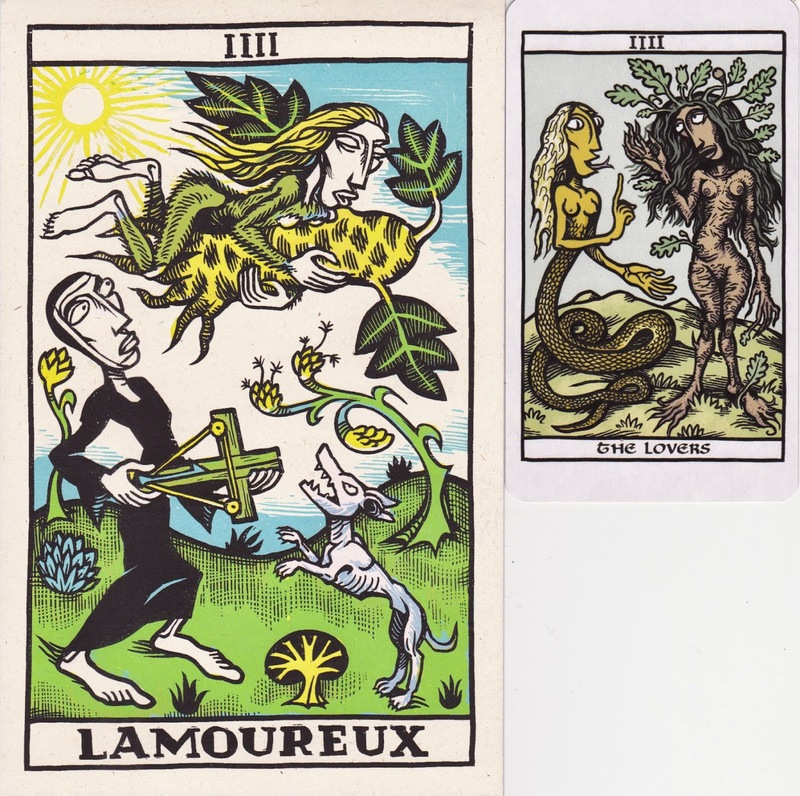 Aaanddd...I'm back, yes once more I'll try to resurrect my blog, once more I want to reach out to the tarot-community and share my 'babies' with all of you out there.So for my first installment in a very long time I've chosen something special, with both a bite and a laugh. 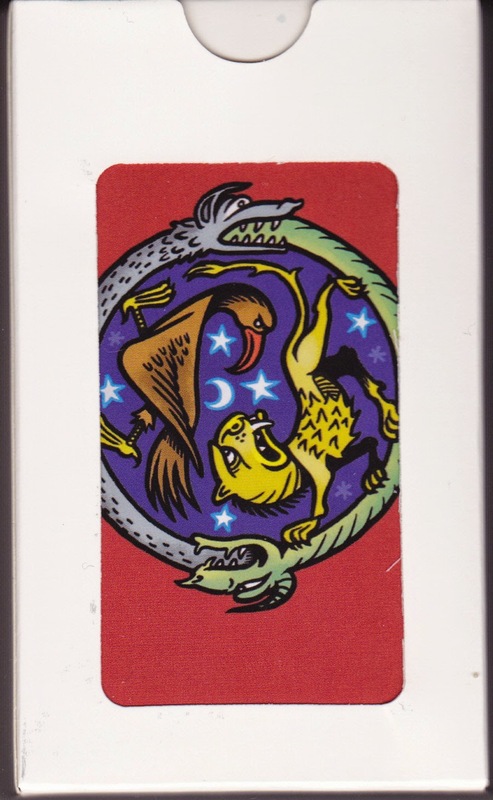 Earlier this year cartoonist Marcel Ruijters has published in cooperation with the Dutch publisher Sherpa, his interpretation of the tarot in a 80 cards deck, in a very limited edition of only 50 decks. But it was not it's first print-run, in it's first incarnation the deck was a hand screened, majors only + 2 extra cards deck published by 'Le Dernier Cry' an independent publisher specialized in the bizarre, the unusual, the alternative. Between both editions there are not only many years but also some changes. The decks are executed in his personal modus of expression: his images are a mix of medieval woodcuts, magic, the surreal and absurd, a style he pulls of consequently through all 78 cards. 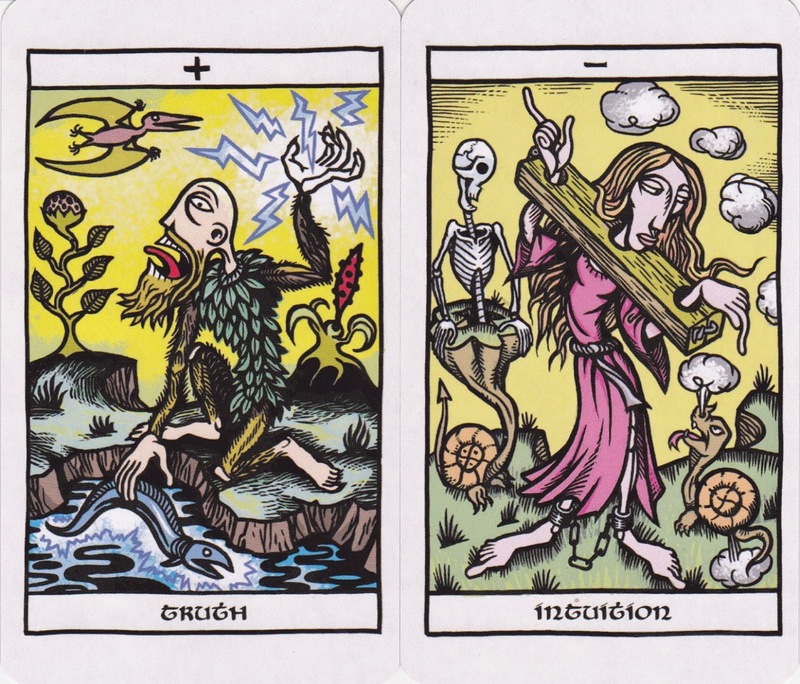 Where the major arcana differs most from the standard, both in numbering and imagery the minors are more like a personal reinterpretation of the decks we know, with a personal cheeky re-imagination, a deck with a tongue in cheek sense of humor and one I can appreciate, or what do you think of the cards below?